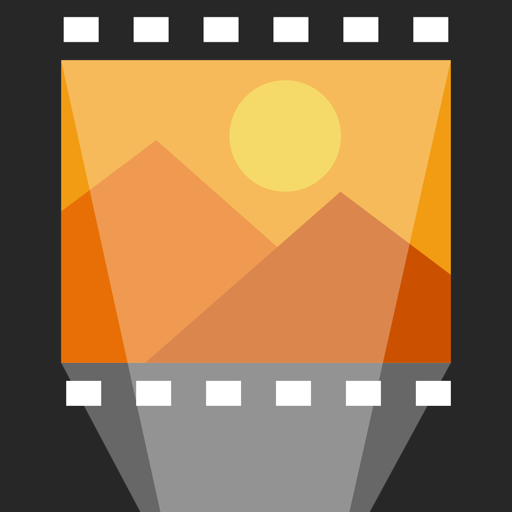 Create animated photo slideshow with background music. Zoom on faces. Play slideshow directly on a smart TV, or export to a video file. Enjoy the most natural viewing experience, presenting the full photograph, and then applying Ken Burns effect to zoom on human faces! 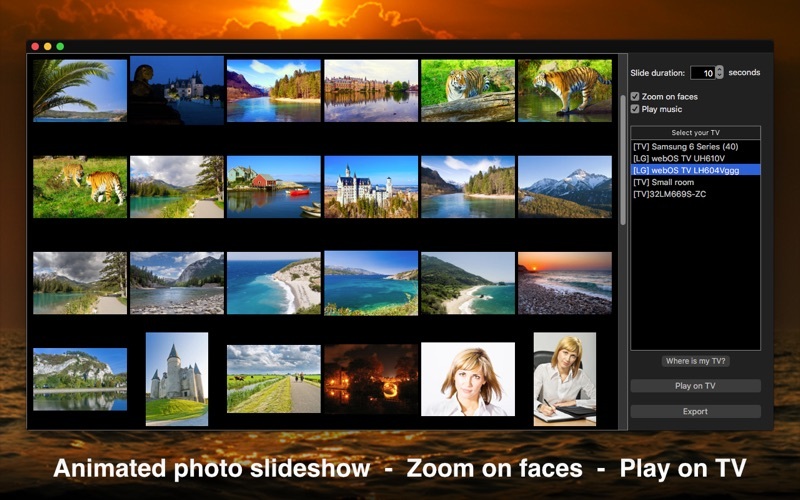 SlideFlow is remarkably easy to use: just drop some photos and click "Play"! SlideFlow works over your local Wi-Fi network with many modern smart TVs. For example with most Samsung, LG, and Sony TVs of 2012 and later models. It is also expected to work with other DLNA devices. Please download SlideFlow for free and check if your device and network setup are supported.